CEDAR CITY – A Cedar City man is facing felony charges after he allegedly used a company’s credit card to make almost $5,000 in unauthorized purchases. 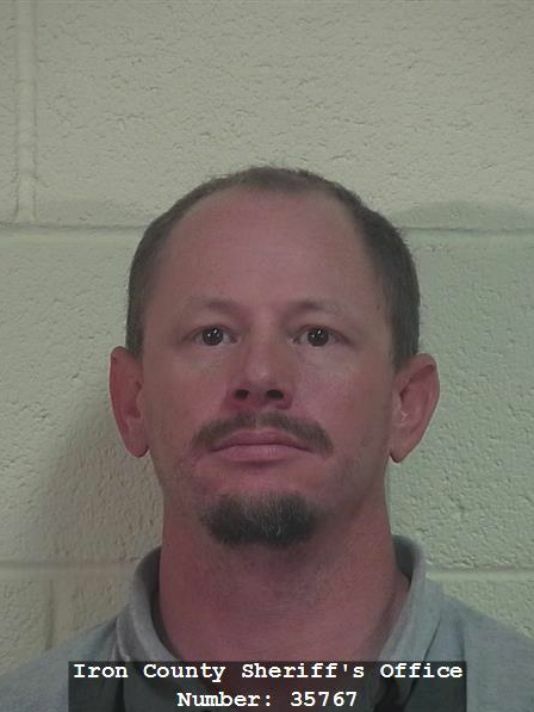 Christopher Allen Taylor, 34, of Cedar City, was arrested Saturday following a Cedar City Police Department investigation into a complaint made by a local businessman. The businessman reported that someone had racked up almost $5,000 in purchases over the past several months on a company credit card that was supposed to have been destroyed. A Cedar City Police officer following up on the complaint was able to trace some of the unauthorized charges to three different purchases made at the Cedar City Wal-Mart – two in July and one in June, according to a probable cause statement filed by a CCPD officer in support of Taylor’s arrest. Store security footage of the registers where the purchases were made shows Taylor buying the items, according to the statement. One of the purchases was made on the Fourth of July, according to the statement, and security footage showed Taylor buying beer, groceries, cigarettes and household items. “He uses the credit card that was reported stolen or missing by the victim to purchase the items,” the statement said. The businessman who reported the unauthorized charges told police that Taylor worked for him earlier this year, up until March 27, and had also done some small jobs since then. Taylor had access to the credit card, he told police, but “they got new cards and this one was supposed to be turned in and it wasn’t,” according to the statement. Taylor was not allowed to make those types of purchases with the card, and he was not working for the company when most of the purchases were made, the statement said. Other purchases were also made at Home Depot, plumbing supply stores and Denny’s restaurant. Taylor was arrested and charged with three third-degree felonies for: unlawful acquisition, possession or transfer of a financial transaction card; unlawful use of a financial transaction card; and theft. He was booked into the Iron County Jail and remains in custody at the time of this publication, according to court documents. He is being held on $10,000 bondable bail. Taylor’s criminal history shows he has been convicted of larceny and felony burglary within the past 10 years and is also currently on supervised probation, according to the probable cause statement.